Each week we invite our readers to send us their favorite Royal Caribbean cruise vacation photos so we can share it with everyone. It's a showcase of the fun that can be had cruising with Royal Caribbean and an opportunity for a quick "fix" in our never-ending yearning for more cruises. Let's look at this week's photos and get things started. 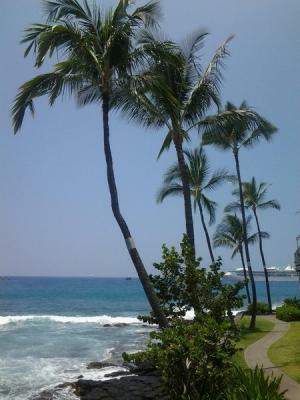 Our first photo is from Don Harlan, which was taken in Hilo back in June 2013. Palm trees, beautiful ocean and a Royal Caribbean ship? I say perfect picture! Next is a photo from John McCormack of Rhapsody of the Seas docked in Sydney harbor next to the Sydney Opera House. He says, "you couldn't ask for a prettier port." Can't say I disagree. 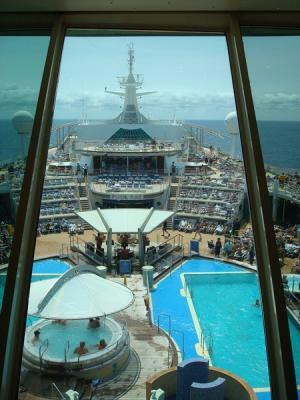 In the "wish I was there for this photo" category, Shawn Holmes sent in this photo looking out over the pool deck on the Explorer of the Seas. 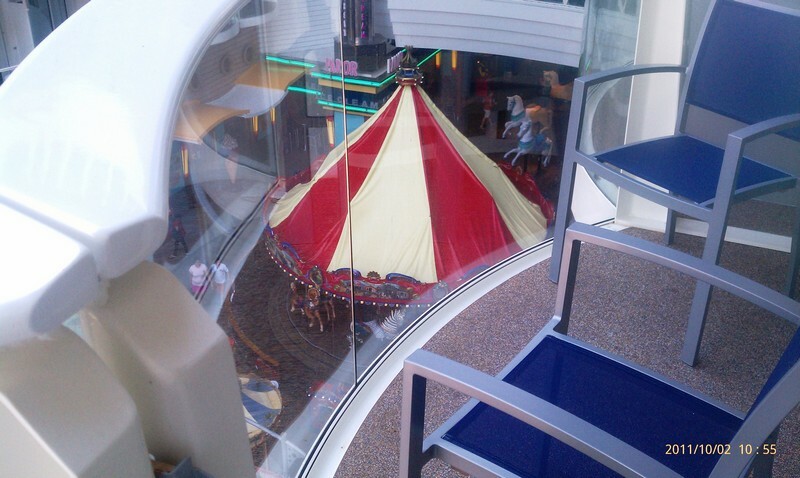 This photo by Harry A. Yerikyan from Oasis of the Seas that is looking down on the Boardwalk Carousel isn't bad either. Next is Patricia Hall taken while cruising on the Brilliance of the Seas with a stop at Naples, Italy. She took the Amalfi Coast tour which included lunch and and of course glasses of wine. Last, but not least, Don Donahue sent in this photo returning from the scenic CocoCay, heading towards Freedom of the Seas.